A concise compilation of the most frequently used physics data and formulae with their derivations. 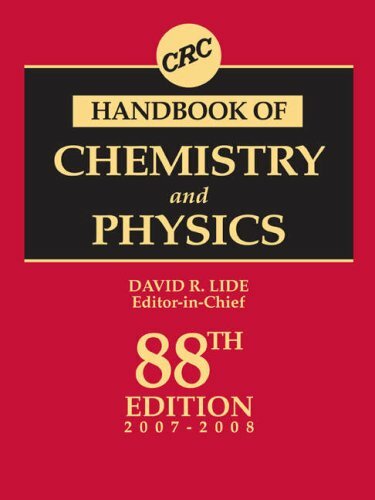 Provides quick and easy access to a wealth of information including not only the fundamental formulas of physics but also a wide variety of experimental methods used in practice.Compiled by professional scientists, engineers, and lecturers who are experts in the day-to-day use of physics, the "Handbook" covers topics from classical mechanics to elementary particles, electric circuits to error analysis. Some 800 alphabetical entries that examine both the theoretical and applied aspects of classical and modern physics. Contains over 2,800 entries, including 320 new to this edition, as well as pronunciation guides, appendices, and various tables.